Are Mary Kay Products Any Good? If you’re a long-time fan of makeup, cosmetics or even the color pink, there’s a good chance you’ve heard of the MLM empress Mary Kay. This skin care and cosmetics giant is one of the largest direct selling companies in the world. We’re talking about racking up more than $3 billion in annual sales. That’s a lotta skin cream and lipstick flying around. It’s also one of the most recognizable multi-level marketing (MLM) companies in existence. If you’ve ever seen someone driving one of their trademark pink Cadillacs around town, you know they’ve developed some serious direct sales hustle. As with many other MLMs, the company has both a good and bad reputation, depending on who you talk to. So how solid is Mary Kay as a home-business opportunity? Is it really worth it to crank up a ballin’ beauty biz of your own? Let’s take a closer look at this pillar of the MLM world to see if it really passes the sniff test. Mary Kay is widely considered to be an iconic name in the beauty industry, right up there with the likes of Sephora and L’Oreal. Where Is Mary Kay Headquarters? Mary Kay’s beauty-centric product line is manufactured in two state-of-the-art facilities. Dallas, Texas (the location of the company’s international headquarters) and Hangzhou, China. And in case you didn’t know, it’s all about product quality with Mary Kay. Which is why they spend millions of dollars each year in product testing, research, performance, and safety. Even though I barely know the difference between lip balm vs. lipstick, I gotta admit that I’m pretty impressed with how they approach product development. They’ve also established a significant international presence over the years. Mary Kay products are now sold in over 35 global markets and that number continues to grow. The company obviously has a huge footprint in the States. But some of their largest markets outside of the good ol’ U.S.A. include Mexico, China, and Russia. 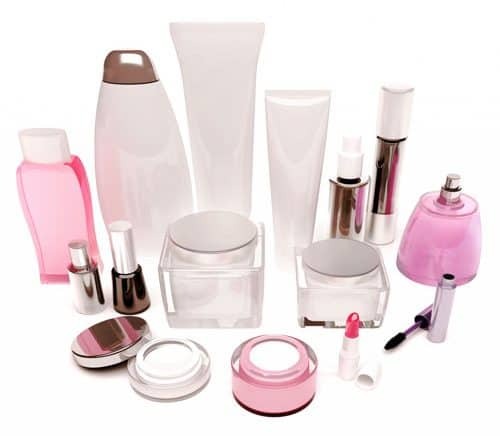 The company’s cosmetics products are sold exclusively through their army of Independent Beauty Consultants (IBCs). Which at last count numbered over 2.4 million strong — that’s a LOT of Skin Care Soldiers out there! These IBCs purchase products directly from the “mothership” (Mary Kay headquarters). And then sell those products to customers using a variety of methods including old-school (home parties) and new-school (e-commerce). 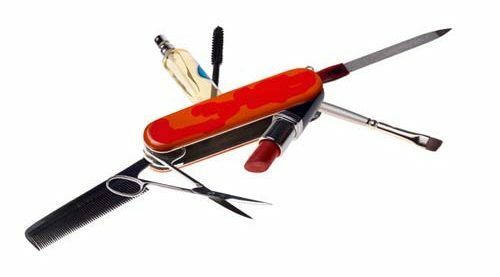 From in-person beauty classes to virtual makeovers, IBCs have a Swiss Army knife of traditional and digital tools to help them build their businesses. As you’ve probably gathered by now, the company is primarily geared towards women. For many people, Mary Kay is synonymous with the color pink — very similar to how the pink ribbon is associated with the Komen breast cancer foundation. The culture of women’s empowerment runs deep in this network marketing company. In fact, Mary Kay’s stated motto is “Enriching Women’s Lives”. The prevailing mindset, especially among the higher-level IBCs, is that positivity should be emphasized at all times. Any type of negative talk or thinking is unacceptable. While this sounds great at first glance, this very mindset is also one of the main points of contention for women who have left the business. In fact, the website Pink Truth is jam-packed with stories of ex-IBCs who found this super-optimistic, Pollyanna-type approach to be a little unsettling. Especially when they would try to voice valid concerns or criticisms to their leadership. Instead of approaching things from a level-headed perspective, some upline IBCs would either ignore or completely dismiss any complaints. In many cases, sincere and critical questions would be met with accusations of “poisoning the business with negativity”. 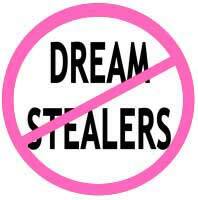 Or even worse, trying to steal people’s dreams aka being a “dream stealer”. After all, you never know how your “negativity” (which is actually just honest and healthy skepticism) might tarnish the image of the business in the eyes of incoming recruits, right? To be fair, that doesn’t mean that ALL distributors act this way, so you can’t throw the entire company under the bus. But for those who might not be familiar with these types of disingenuous dealings, let me tell you that it’s not exclusive to Mary Kay. In fact, this strange brand of hyper-positivity is extremely common in the MLM world. Having a positive mindset is essential to becoming a successful entrepreneur in ANY business, since major setbacks and challenges are inevitable. However, there’s a big difference between having a glass half-full vs. half-empty mindset and having the entire bottle dumped down your throat until you choke on it. Ironically, this is one of the reasons why many people find it so difficult to walk away from MLMs. Even when they haven’t made one red cent for months, years, or even EVER. When you know that you’ll be labeled a quitter, non-achiever, or new member of the “Graveyard of Dreams” if you walk away, it makes it that much harder to cut the cord. Especially if close friends or family are still in the business. This borderline cult-like behavior is why so many ex-MLM’ers feel like they’ve been scammed and have such a sour taste in their mouth after walking away. On a more positive note, I should also mention that the company is heavily involved in charitable work via the Mary Kay Foundation. They routinely donate truckloads of money to cancer research and also channel funds towards preventing domestic violence as well. As it was with Steve Jobs (Apple), Sam Walton (Walmart) and James Cash Penney (J.C. Penney), the history and ethos of a company is often centered around its visionary leader. This is definitely the case with Mary Kay. Mary Kay Ash is almost a mythical legend among the distributors of her namesake company. On September 13th, 1963, Ash made a courageous decision that would forever change her destiny. At 45 years of age with an investment of $5,000 from her oldest son, she launched Beauty by Mary Kay. A company that flew in the face of the male-dominated business world at the time. At an age when most people would be thinking about “slowing down” and looking forward to retirement, Ash’s goal was to pursue opportunities that had often been denied to women. And build a business that would create a means of income for her and other women with similar entrepreneurial ambitions. Let’s just say it worked out pretty well. 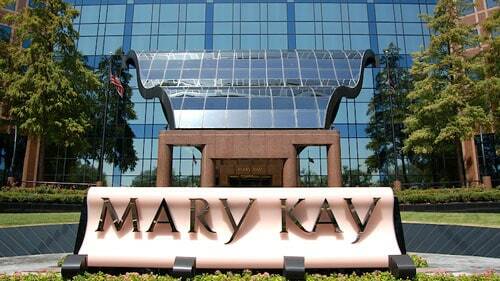 More than fifty years later, Mary Kay is now recognized as one of the premier cosmetics companies on the planet. While Ash passed away in 2001, her legacy of entrepreneurship and women’s empowerment continues to live on. She has earned high praise from countless notable figures, from former First Lady Laura Bush to famous motivational guru Zig Ziglar. Ash also received dozens of awards and accolades during her lifetime, even after her passing. That includes the prestigious Living Legend Award from the Direct Selling Foundation, and also being named the “Greatest Female Entrepreneur in American History” by Baylor University. Her son Richard R. Rogers now runs the company, operating as Executive Chairman. As co-founder of the business, Richard has actually been involved from the very beginning, joining forces with his mom at the ripe young age of 20. The mother-son duo created a company that has become a juggernaut in the beauty space, with billions of dollars in annual sales. Long story short, more than half a century after Mary Kay began, the company continues to thrive and is obviously doing something right. I mentioned earlier that product development was one of the main things that impressed me about this company. 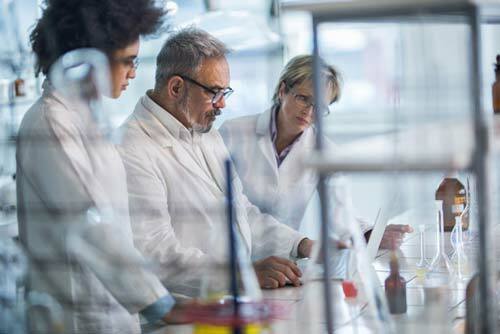 They even have Ph.D.-level biochemists, toxicologists, microbiologists, and pharmacologists on the payroll. That’s a lotta “gists” for one sentence, but obviously they have some smart folks working behind the scenes to make sure that product decisions are based on sound scientific research. For example, Mary Kay’s skin care products are tested by a team of independent board-certified dermatologists. Consumer scientists are also employed to conduct important live product testing (on people, not animals). In an MLM industry that is rife with inferior (garbage) products, I can comfortably say that this company seems to put some real thought, effort, and pride into what they offer. Mary Kay also seems to emphasize the idea of maintaining a radiant, youthful appearance by slowing down the inevitable effects of aging on the skin. Can’t blame ’em for that — I mean, who doesn’t wanna look younger as they get older? And their products are (allegedly) designed to deliver exactly that for their customers. Some of their best-sellers include Oil-Free Eye Makeup Remover, Ultimate Mascara, and TimeWise Age-Fighting Moisturizer. One complaint that has surfaced many times in online forums and discussion boards is the issue of Mary Kay constantly changing their product formulas. This essentially makes the older products obsolete, and thus a lot more difficult for distributors to sell. After all, it’s only human nature to want the “new” and “improved” version of anything. This has become a hot-button issue with a lot of former Independent Beauty Consultants. Many IBCs have ended up with basements full of older, “outdated” products they find hard to get rid of, since everyone wants the newer versions. As a result, even though it’s officially forbidden by the company, some distributors have resorted to selling their obsolete products on places like eBay and Amazon.com. Just to recoup some of their up-front inventory costs which can be hundreds or even thousands of dollars. If it ain’t broke, why keep trying to fix it? But then again, it could be for the same reasons that a new iPhone comes out every year. ✓ The company has been around for more than 50 years. If nothing else, this should set your mind at ease regarding stability. As a multi-billion dollar business, it doesn’t look like Mary Kay is going bust any time soon. That being said, stranger things have happened in the MLM universe. Over the years, many popular MLMs have fallen victim to the “here today, gone tomorrow” curse. ✓ Mary Kay provides high quality and professional-looking sales tools to help IBCs build their businesses. Their website is also top-notch, which goes hand-in-hand with their extensive marketing materials. ✓ There are some juicy financial rewards and incentives waiting for determined entrepreneurs who can endure the Mary Kay grind. For example, IBCs can earn up to 50 percent commission on the products they sell. Top distributors are also treated to financial bonuses, luxury trips, and cool prizes including fine jewelry and cutting-edge tech gadgets. And let’s not forget one of the most famous signs of Mary Kay achievement — the iconic pink Cadillac, officially known as the “Career Car”. In recent years, the company has also expanded the Career Car Program to include black BMW’s, Chevrolet’s, and Toyota’s. These spiffy vehicles are reserved for those that have graduated to the expert-level of awesomeness in the company. Meaning they won’t hand you the keys to a new Caddy until you’ve generated at least $75,000-$100,000 in sales volume in a six-month period. Now technically, the Cadillac isn’t really yours — it’s just leased to you. The company will only give you a monthly amount to cover the car payments if you continue to meet the high volume of sales requirements. If you fall below the production standards for a given month, the lease payment then becomes your responsibility. And if that happens for too many months in a row, your shiny new ride goes bye-bye. On second thought, maybe the Cadillac should fall into the “Cons” category lol. ✗ As is the case with all MLMs, you won’t make any serious money unless you recruit new Mary Kay distributors to your team. Make a list of all your friends and family and start selling them Mary Kay products and “the dream”. ✗ The company “updates” or changes their product formulas on a regular basis. This irritates many IBCs because they are often left with older, outdated inventory that is difficult to sell since everyone wants the newer version. ✗ Many former IBCs have complained about the initial ordering process when you first become a distributor. You’re only “officially” required to pay $100 for a starter kit to begin your Mary Kay business. But in order to stay “active”, you need to order at least $225 of wholesale products every three months from the company. It is, however, common practice for upline mentors to push this inventory amount much higher. This is a practice called “front loading” and it happens all the time in MLMs. Mary Kay in particular is notorious for front loading. New IBCs are often encouraged by their recruiters to purchase inventory packages that range from $600 all the way up to $4800 for a “Pearl Star Package”. Now think about it: As soon as that inventory purchase is made, the company has their money. The burden is now completely on the brand-new Independent Beauty Consultant to sell those products to consumers. More often than not, many of these newbies end up with drawers, closets, or even basements full of products that they can’t sell. Since the company only tracks sales volume from these inventory purchases via IBCs, there’s no telling how much product actually ends up in the hands of retail customers. I’m no conspiracy theorist, but I have a sneaking suspicion that a high percentage of that inventory is still in the hands of IBCs. ✗ There seems to be a ton of pressure to meet monthly production numbers with this company. As mentioned above, IBCs are required to make a $225 minimum order every three months to remain active. But you can forget about getting a commission check if you fail to meet volume requirements in a given month, even if you were a sales superstar the month before. Interestingly enough, this volume requirement goes away at the National Sales Director level and above. Which doesn’t make a whole lotta sense because why would you make it harder for people who are just starting out vs. those who have well-established businesses? Okay, it’s time to make some hay with Mary Kay! But seriously, how do Mary Kay consultants get paid? Well first of all, there are far too many titles, levels, and qualification requirements to explain in-depth here. Consultants, Star Consultants, Red Jackets, Team Leaders, Directors-in-Qualification (DIQ), National Sales Directors, the list goes on and on. As expected, each successive level offers higher commission percentage amounts and the compensation plan rewards sales VOLUME — and lots of it! To go along with that, the more IBCs you sign up, the higher Team Building bonuses and commissions you’ll receive. In a nutshell: the more people you recruit onto your team, the more money you can make. As I mentioned earlier, a lot of emphasis is placed on consistently ordering large amounts of “inventory” to keep your business well-stocked for future customers. The problem is, what happens if and when those customers never materialize? Do a quick search on Google and you’ll find horror stories of women who have gone into deep credit card debt trying to make these bulk inventory orders. We’re talking tens of thousands of dollars here. And unfortunately, what chance do you think the average IBC (with little to no sales experience) has at recouping those costs? Given the abysmal success rates of most MLMs, I would say the chances are slim — at best. Of course, you’ll be told that the inventory you buy is “a source of future profit”. But obviously, it’s only profit IF you can sell it. Interestingly enough, I couldn’t find an easily accessible, line-by-line breakdown of the company’s compensation plan on their official website. In fact, when you search for “Mary Kay compensation plan” on Google, the official website doesn’t even show up anywhere on the first page. After doing some digging, I finally found an Advance Brochure (apparently only accessible to active IBCs) from the Pink Truth website. Not sure why the company is so secretive about their compensation plan. But given the amount of naysayers out there regarding network marketing companies, perhaps I shouldn’t be. Mary Kay has been around for more than 50 years and is a multi-billion-dollar business i.e. doesn‘t look like the company is going bust any time soon. As is the case with all MLMs, you won‘t make any serious money unless you recruit new Mary Kay distributors to your team. Independent Business Consultants can earn up to 50 percent commission on the products they sell. Many former IBCs have complained about the initial ordering process and "front loading" of products when you first become a distributor. Mary Kay provides high quality sales tools for their IBCs including a top-notch website and extensive marketing materials. Due to front loading and frequent product updates, there are many complaints of having large amounts of “inventory” leftover they can't sell. There are some juicy rewards waiting for top distributors including financial bonuses, luxury trips, fine jewelry and cutting-edge tech gadgets. High pressure to meet monthly production numbers e.g. IBCs are required to make a $225 minimum order every three months to remain active. Top IBCs can qualify for the iconic "Career Car" which include company-leased pink Cadillacs, black BMW‘s, Chevrolet‘s, and Toyota‘s. Mary Kay admits in an earnings report that out of their active IBCs, only about half earned commissions more than $100 annually. So is Mary Kay legit or just another pyramid scheme? 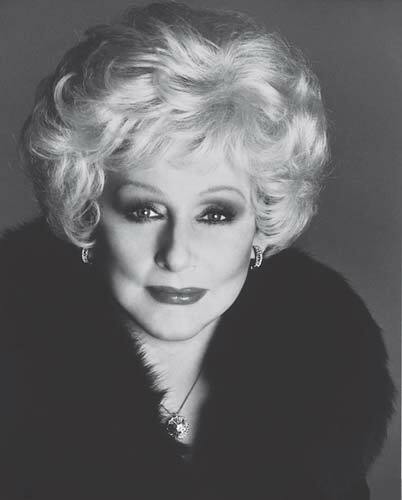 Mary Kay Ash is undoubtebly an inspirational figure and she has built one heckuva cosmetics company. The company offers stability and great brand recognition which are pretty rare in today’s world of fly-by-night MLMs. They also seem to produce highly-rated products. But I do have serious concerns about how viable Mary Kay’s business opportunity is for the average person. Front loading, high-pressure production requirements, and the whole enforced positive attitude thing are real turn-offs. And let’s not forget the fact that out of the roughly 650,000 IBCs in the U.S., only about 1300 of them (0.2%) have hit the Pink Cadillac level. To take it a step further, according to research 99% of all network marketers will fail to make money after business expenses are taken into consideration. Now to be fair, that horrific “success rate” is on par with any MLM that operates today. Even in one of Mary Kay’s own earnings reports, they admit that only about 12% of their IBC sales force was considered “active”, and only half of them earned commissions more than $100 annually. Clearly Mary Kay wouldn’t still be in business after almost 60 years if at least some women weren’t experiencing success with the company. So I think it’s only fair to also include some pro-Mary Kay rebuttals to many of the anti-Mary Kay sites out there. That being said, after many hours of research, I think for most folks the negatives far outweigh the positives of Mary Kay’s business opportunity. If you’re gonna invest your hard-earned money and time into a business, you should look for one that offers a higher potential of return. Then again, I can’t help but admire and respect the hustle of Mary Kay and strong entrepreneurial women like her. So if you wanna drink the pink lemonade and have that Mary Kay enthusiasm down in your heart, I wish you all the best. If not, here’s another suggestion. Years ago my sister hosted a Mary Kay party, and the sales associate was a friend. We guests were good sports, including my sister’s boyfriend. We started with a cleansing. The boyfriend first, but he whined it stinged. I went next, and ended up with chemical burns to my face. My sister helped me rinse lots of water trying to stop the burning sensation. I had to go the my doctor that same day, who then sent me to a dermatologist who chewed me out for not first testing a new product on my arm. 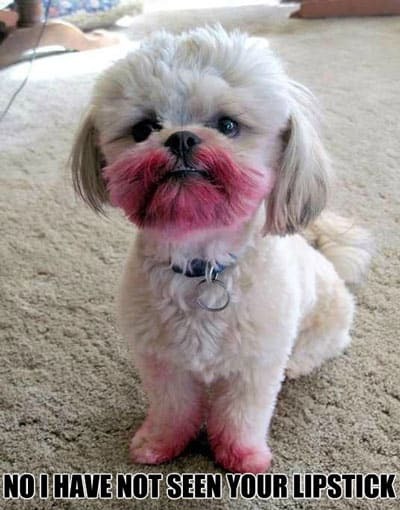 Never tried Mary Kay again, and never will. Hey DeeDee, thanks for taking the time to share your experience.